As the UK's leading range cooker experts, we are often asked for advice in choosing a range (or other item) for those with limited mobility or specific health issues. The best thing you can do is give us a call so we can understand your needs, but in the meantime you may find the below to be a useful guide through some of the features that you may find useful. 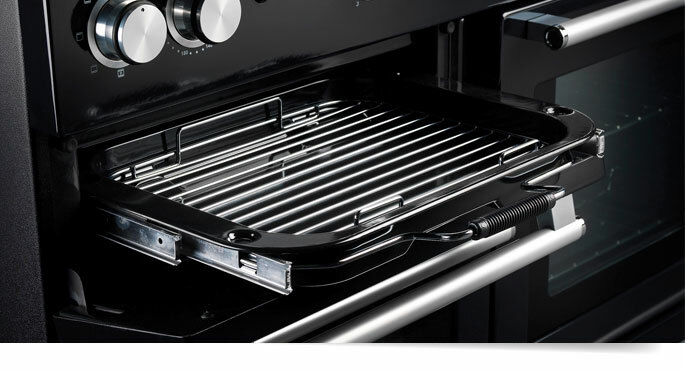 Generally speaking, on any cooker with a separate grill (which will open downwards), the oven doors will be hinged at the side and open outwards. These generally allow you to get nearer to the oven cavity if you use a wheelchair. On cookers with a single or twin oven format, these doors will generally open downwards. Either found running the full width of the cooker, or on the bottom right as you face the cooker, storage drawers can be particularly useful if you have a small kitchen. However not all function the same; some storage solutions are simply a bottom hinged door that will require you to reach into it to find what you want. Instead, you may prefer a storage solution that slides out and provides much easier access to your cookware. If you have mobility problems, reaching into an oven to lift out a potentially heavy tray of food may prove difficult. Thankfully, range cooker manufacturers have come up with slightly different solutions so that you don't have to. The most common method would be that of telescopic shelves (such as those on the new Stoves models), which allow the oven shelves to smoothly glide out of the oven to save you reaching in. But perhaps more effective is Rangemaster's approach with their HandyRack. Here, the roasting tin is attached to the inside of the oven door itself, so as you open it the tray automatically follows it out. Self cleaning features fall into three categories; easy clean enamel, catalytic liners and pyrolytic functions. Easy clean enamel does exactly what it says on the tin, and is the base level of oven cleaning. The enamel finish is engineered to be as smooth as possible to help prevent grease from sticking to it. The crucial point to remember is that it still involves you reaching into the oven with your oven cleaner to give it a wipe. Catalytic liners are the next step up. Rather than being smooth, these have a rough textured micro-porous finish designed to absorb and eliminate the splashes that occur during cooking. The result is less manual cleaning by you. Finally, we have pyrolitic cleaning. This differs from the other two categories in that it is a specific function that you select on the cooker. The oven door is locked for safety, and the oven cavity is heated to around 500 degrees Celcius to burn off any residual grease. At the end of the process, you will be left with a small ash residue on the bottom of the oven that you simply wipe up with a damp cloth. It is not a common feature on ranges in the UK, but check out the Rangemaster Professional Plus 90FXP, or if you want a multi-cavity set up, the Smeg Symphony 90 Pyro. If you have difficulty using one or both of your hands, then it may be beneficial to seek out ranges with either single-handed ignition (if choosing gas) or touch sensitive induction (although see the below section on induction hobs). Traditional gas hobs function by you rotating the control knob to initiate the flow of gas, followed by you pressing the ignition button with your other hand to spark the flame. However some gas ranges offer single-handed ignition, where the act of rotating the control knob automatically generates a spark to light the flame. 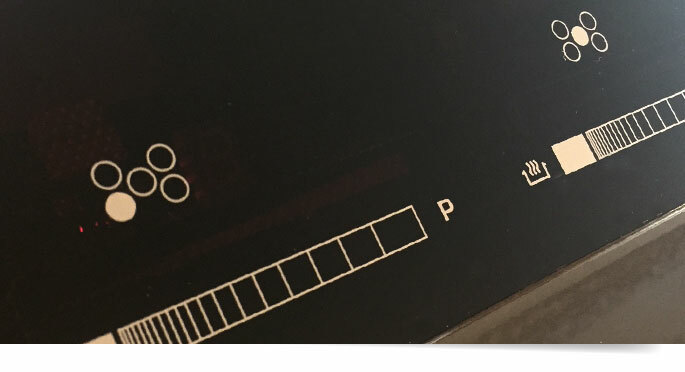 We always list this feature under the Hotplate heading in the Full Specification tab of any cooker, but a great place to start would be with Stoves as all of their gas ranges come with this feature. 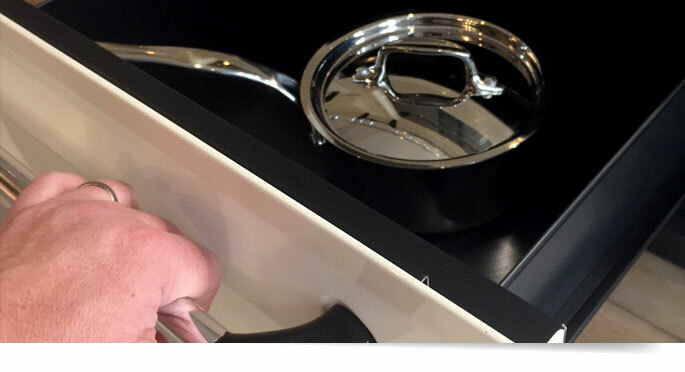 Alternatively, induction hobs are controlled by touch sensitive areas on the hob top itself, therefore requiring no rotation of the wrist whilst still being single-hand controlled. Induction hobs use powerful electromagnets to induce heat within the pan (if you'd like to read more about how they work, see this blog). They deserve a special mention here though as they may not be an appropriate hob choice if you have a pacemaker, as these medical devices can be sensitive to magnetic fields. The British Heart Foundation has some general advice here, but if in doubt you should speak to your GP. If you have difficulty reaching above your shoulders, then a hood with a remote control or automatic steam detection could be a useful aid. On the downside either of these features can often command a price premium over a hood of similar extraction performance, however one exception to this is the Rangemaster Integrated Hood. Designed for installation into an aclove or overhead cupboard, this hood comes with a remote control and is of excellent value at £425. Hopefully we've given you some food for thought, but please do give us a call if you have any further questions. 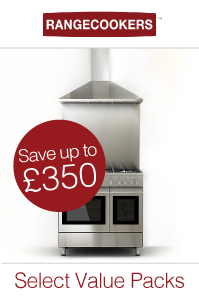 It is our job to find the right range cooker for you.